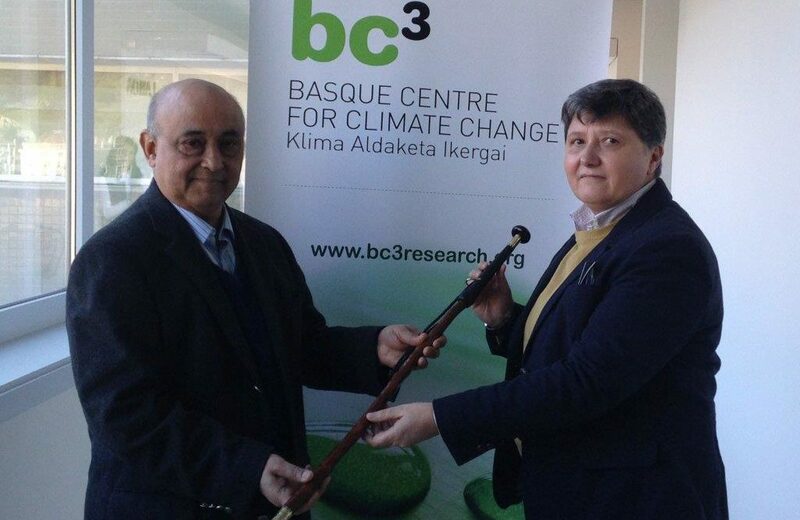 We asked our former scientific director, Anil Markandya, and our current scientific director, Maria Jose Sanz to take a look back over our past 10 years and answer some key questions about the future trajectory of climate research and BC3 as a centre. Here’s what they had to say. In your opinion, what have BC3’s main accomplishments been over the past 10 years? AM: Well, one of the main ones is to have survived the financial crises that emerged almost immediately after we were set up. After about two years of funding as planned we were subject to significant cuts but, with enterprise and effort we raised resources from competitive sources and managed to continue to survive and do well. 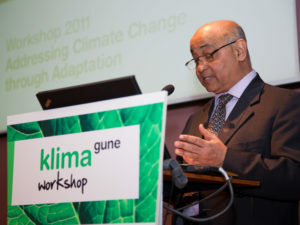 The second is to have established ourselves as a leader of climate research centres in the community of such centres. We were awarded some prizes in the early years for being a leading centre in climate economics and that was a great start, given the competition. Third is that we have maintained an international focus, both in research and, more importantly, in the staff that work here. Thanks to all for making this possible. MJ: I think BC3’s main achievement is that the centre has evolved, despite many challenges, with a shared vision by the directors and staff. It is not always easy to maintain a long-term vision and excellence in research, especially while evolving with financial constraints. BC3 has managed to achieve this, and is recognised as a research centre at international, national and local levels – a difficult balance to secure. Another achievement, which I think is important to mention, is the commitment to the above by all staff, who together strive towards meeting the collective objectives of the centre. In terms of living sustainably, how does BC3 practice what it preaches? MJ: This is a difficult question, one obvious way could be our offices – we are still deciding on how to make them more sustainable. However, there also small gestures that can help such as safe energy, minimise the use of the printers, etc. Some of the staff are making an effort to use public transport or bicycles to commute to the office. BC3 is also participating in programmes that bring together local agents, companies and institutions that promote sustainability (GOSASUA Program lead by Innobasque). It is also a member of the UNESCOETXEA SDGs efforts leading SDG 13. 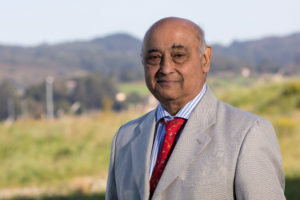 Another aspect that BC3 is addressing (which to me is of particular importance) is spreading its knowledge among the education system in the Basque Country through regular lectures in secondary schools, or other communication devices to target other sectors of the population. While targeting children and young adults is key, targeting the older segment of the population is also important, since they maintain values that can be transferred to younger generations. We talk a lot about the importance of bridging science and policy. How do we also create a dialogue with the general public on this path to sustainability? AM: This is not easy and I have no simple answers. First we have to have credibility for our scientific work in the eyes of policy makers, and I believe we have that. We are not seen as pushing an agenda but setting out the results of the best research. Next we need to communicate our work to them and to the general public and that is not so easy. It takes time, whic is at a premium, with the incentives always being strongest to publish in the best journals. But we have persevered, through various programs, such as the Training Caravan, the Klimagune workshops and others. Again thanks to many people we have sustained that over many years. We must keep going. MJ: One of the key aspects of bridging science and policy is understanding what policy makers confront in their day-to-day, and the timing in the policy context. This means that solutions need to be contextualised and adapted according to particular priorities. At the same time, it is also important to understand how society perceives and accepts changes. BC3 has demonstrated that we can work in this environment and propose solutions that can be implemented, and work hand-in-hand with society and policy makers, while preserving scientific excellency. We have to work more in this direction and take stock of the lessons learnt if we want to address climate change challenges in a critical and timely way. Regarding our responsibility to future generations, can you talk about the delicate balance between narratives of mitigation and adaptation? but the approaches being used for the implementation of SDGs are more of the same, nothing really innovative that deals with the crux of the problems our society has. This perceived imbalance is therefore just evidence that the real issues are not being properly identified or addressed. AM: Adaptation needs to address existing climate variability as much as expected climate change, especially in developing countries. This gives it a greater urgency and a greater role in supporting resilient development as well as in complementing actions to meet the SDGs. Mitigation has to also be seen now through the lens of co-benefits (particularly health-related ones), which our research has shown can be huge; indeed large enough to justify the costs of decarbonisation almost on their own. So on the question of balance we have more weight on both actions! To me it means we need to give climate as a whole greater importance in policy making across government and the private sector. When answering these important questions, what sets BC3 apart from other research organisations? MJ: First, BC3 holds a commitment to provide solutions to real problems with sound science by all staff, despite different backgrounds and disciplines. Most of the time, at least as a starting point, this begins with problem-orientated research. Secondly, BC3 is composed of a mixture of researchers from different disciplines, including social and natural sciences. This allows for disciplines, methodologies and concepts to be interchanged in order to address particular research topics, and is supported by good international networking and collaboration. Lastly, BC3 has a soft internal structure that promotes collaboration, allowing for the natural formation of ad-hoc and flexible research groups. There is also excellent balance in terms of efficient administration and project assistants that detract the administrative burden away from researchers. AM: I agree with Maria José. I would also like to add the fact that BC3 is more international than many other research organisations. Anil, after seeing BC3 through so many years, passing on the baton must not have been easy. 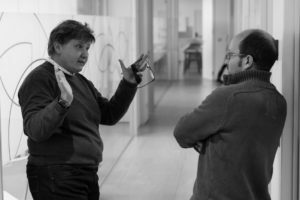 What do you hope for BC3 over the next decade, and Maria Jose in the same regard, what is your vision for the future of BC3? AM: Actually I was quite happy to hand on the baton. It was a great challenge and I was honoured and pleased to have started the Centre and seen in through its early years. But it is never good to stay on too long and in Maria Jose we have an excellent replacement. I look forward to seeing the Centre continue to thrive and to build its reputation, with lots of young and enthusiastic researchers creating a lively and friendly atmosphere. 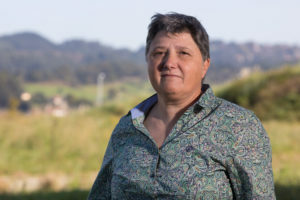 MJ: My vision is a transdisciplinary working centre in which scientists are committed and find themselves useful and enthusiastic in addressing the challenges of climate change. This will give us credibility within academia and allow us to give timely and useful support to policy makers at local, national and international levels.